Adams and Newman Ltd undertake most domestic and commercial construction from large new builds to small repair jobs. We also specialise in carpentry, custom made joinery and work on listed buildings. Adams and Newman Ltd is a well established building company based in Swavesey near Cambridge. We carry out most types of building works, including new builds, house extensions, property refurbishments, loft conversions, ground works, landscaping, and any type of repairs and alterations. We also specialise in carpentry and joinery, and the restoration of listed buildings. Over the years have worked on many listed properties in Cambridgeshire, including Pembroke College in Cambridge. 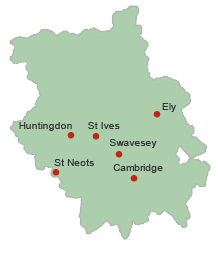 Adams and Newman Ltd is based in Swavesey near Cambridge, and provide building services within a 20 mile radius, including Cambridge, Huntingdon, St Neots, St Ives and Ely. © 2014 Adams & Newman Ltd. Web design by RedAct Solutions.